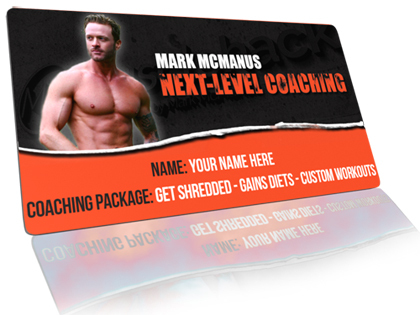 Guys and gals – wouldn’t it be a dream come true if we could make sure that all the food we eat…all those calories…goes towards muscle growth and not to fat gains? It can be done! I identify 3 main factors in getting the job done! Do these…and gain muscle, not fat! Your Calories for lean gains are about 200-300 above maintenance. 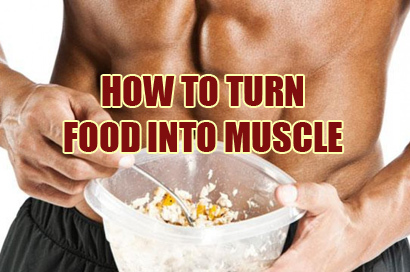 Any more food will NOT make you more muscular…but it will make you fat. 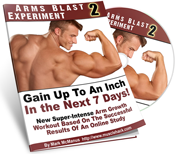 See my post on Building 12 pounds of muscle for a more in-depth explanation. BUT IF YOU REALLY WANT TO OVEREAT…make it protein! Why? In order for excess protein to end up as fat, it first has to be converted to glucose (carbs) then into fat (de novo lipogenesis). In each of those 2 conversions, energy is lost, so every gram of protein (4cals) could end up as 2-3 cals worth of fat (1/4 to 1/3rd of 1g of fat). So a lot of energy/calories gets wasted in the conversion process – that’s good for us! BUT IT GETS BETTER – exciting new research that I reveal in this article, showed that when people ate excess calories, the excess calories from protein actually had ZERO effect on fat gains. It ended up as lean mass…probably stored as glycogen in the muscle. If you think stopping at rep 7 out of a possible 10 reps to failure is better than going to the 10th, you’ve just got something really wrong with you. All these (and more) are positively correlated with protein synthesis levels (growth levels). Maximizing these factors leads to optimal gains. For more on this, see my post – Should you train to failure. While a genetic freak can make gains by almost just look at weights, you can’t – you need to force the issue by training to high levels of intensity. The point is this: all the food and protein in the world will not turn to muscle…IF YOU DIDN’T EVEN STIMULATE GROWTH IN THE FIRST PLACE. Make sure you get the job done by training with intensity. I’m a big believer in giving your body what it needs…WHEN it needs it. In the period immediately after training our bodies are PRIMED for the intake of nutrients. These calories and protein will more likely be used to combat catabolism and promote anabolism like no other time of the day. A solid food meal some time within 3hrs of finishing your training session. Shoot for 40g of protein in your post-workout shake – a study I commented on in this post shows 2 scoops of whey promoted more growth than 1 scoop – and most people only take 1 scoop! And I would also recommend you get about 40g protein in that post-workout meal. If you want to see what I usually eat in that 3hr “anabolic window”, see my post here. 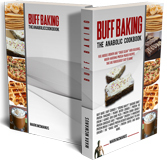 (Also see my Buff Baking Anabolic Cookbook for mouth-watering recipes to hit your daily protein targets). On the subject of giving your body nutrients when it needs it, see my post from last week on how to eat at bedtime to build up to twice the muscle while you sleep. 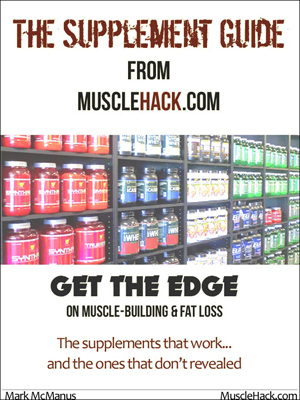 NOTE: If you’re clueless about what supplements to take and when, gran my FREE supplement guide. It reveals all the supplements that work, the ones that don’t, and the ones that are actually dangerous. And it’ll save you a ton of money! The download link appears here immediately after clicking the button, you don’t have to open your email. Enjoy! This will virtually guarantee that all those calories go towards the anabolic/muscle-building process…and not converting to fat! Mark? Off topic here but are you still training at home using the Marcy equipment, I’m wanting to train at home as Its impossible to stick to THT at a gym as equipment is always being used and sometimes have to wait 10min to use something and sometimes not at all, what do you recommend? @Jason. I’m doing both, brother. Sometimes at home. Sometimes at the gym. I like both and usually don’t have much of a problem waiting on equipment, but yeah…it’s annoying when it happens.